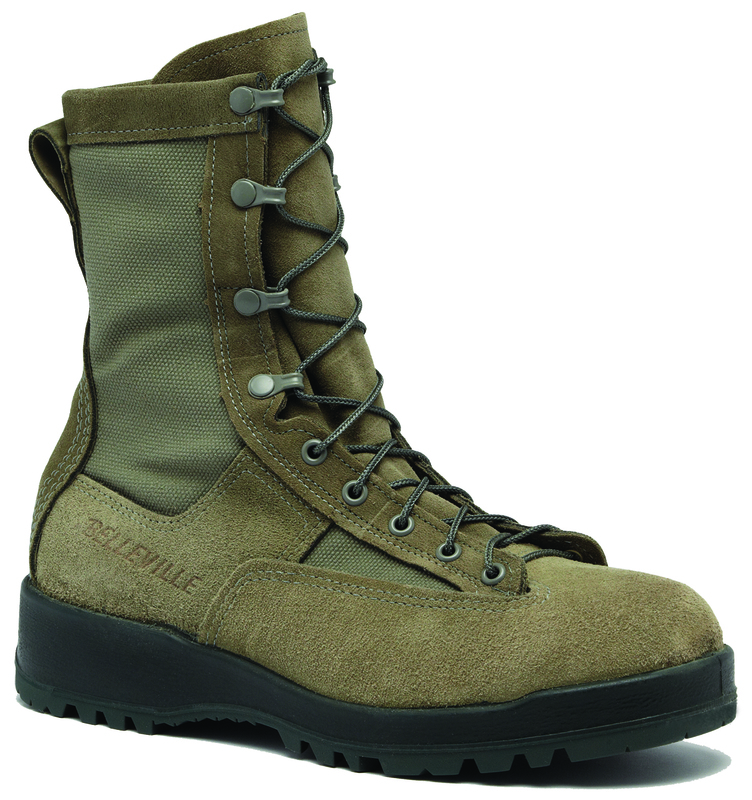 The Belleville 690 ST was the first USAF boot approved for flight use. 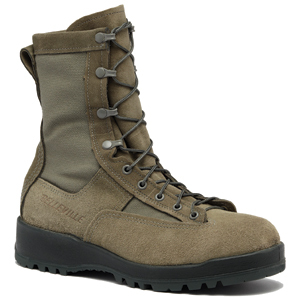 This boot features an upper made of 100% cowhide suede and ballistic nylon for ruggedness. An ASTM-compliant steel toe provides protection from falling object hazards. A Gore-Tex bootie is integrated into the boot lining to provide moisture wicking from the inside and a waterproof barrier from the outside. Intended for cold weather, this boot features one of the most comfortable outsoles on the market today with Belleville's patented VANGUARD running sole. This ground breaking technology has enabled military boots to have the comfort and fit of athletic shoes while still meeting the strict specifications for military boots. The 690 ST is U.S. Air Force flight approved and approved for wear with the Airman Battle Uniform (ABU). This boot is Berry Compliant and proudly made in the USA.